If you are looking for outdoor wedding venues in Cheshire, look no further! 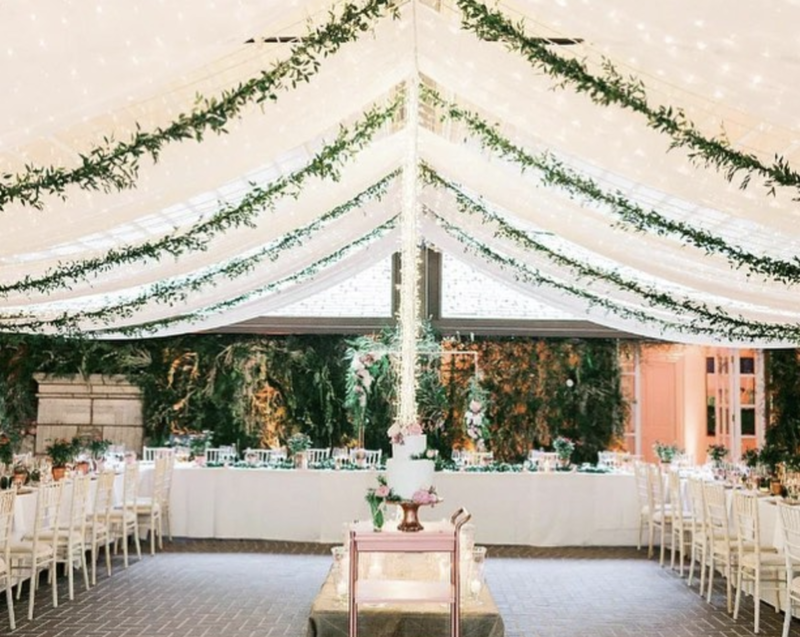 At Delamere Manor your dream wedding begins as soon as you enter through the wrought-iron gates, along the driveway skirted by lime trees, Delamere Manor truly is one of the most exclusive and luxurious Cheshire wedding venues. Whether it is spring, summer, autumn or winter, intimate or extravagant, the stunning manor house, beautiful guest suites and exceptional grounds become exclusively yours for one of the most special days of your life. 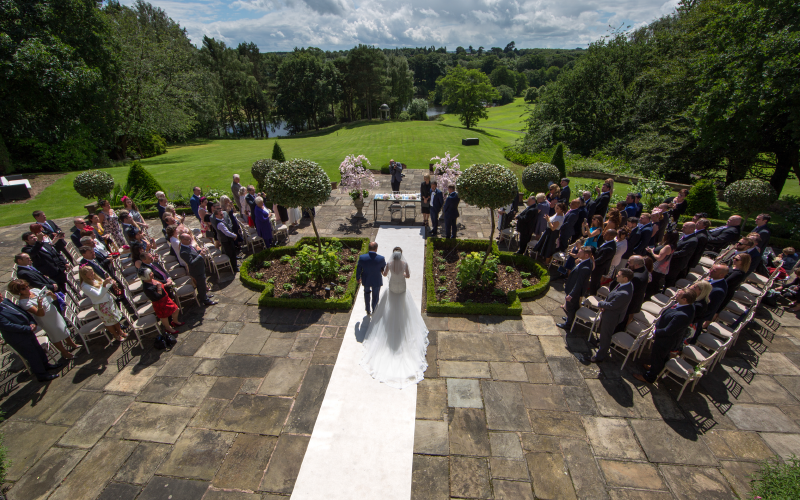 Delamere Manor offers five licensed and flexible spaces for outdoor wedding ceremonies, all of which can accommodate up to 140 guests. A sensational, glass-fronted contemporary space that features a stunning fairy light canopy. The space offers a fully retractable roof, proposing the opportunity of enjoying the feeling of being outside, however safe in the knowledge that your beautiful outfits will not get wet. 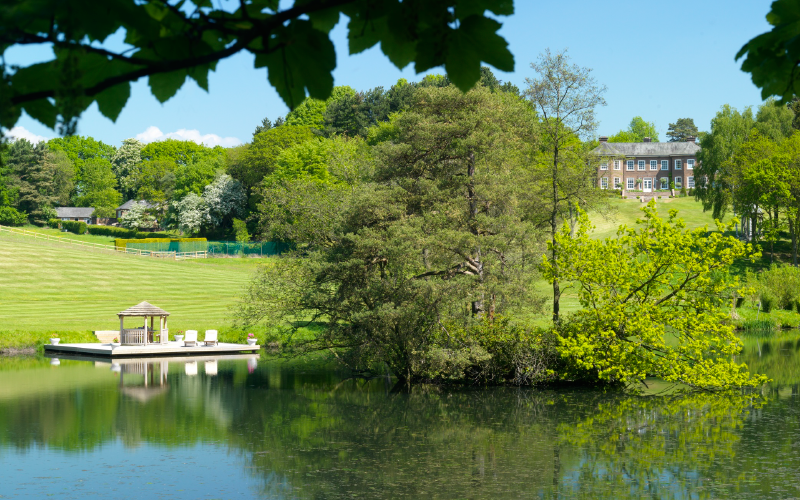 Overlooking the manicured parkland, lake and mature woodland and is the perfect setting for saying ‘I do’. There are not many places within Cheshire that offers a WOW factor like this. The terrace also provides a blank canvas and so can be decorated in the style of your dream ceremony. A stunning, short walk from the manor and offers the opportunity for a waterside wedding ceremony. Surrounded by wildlife, the jetty has panoramic views and is truly idyllic. The perfect outdoor spot to sign the register. 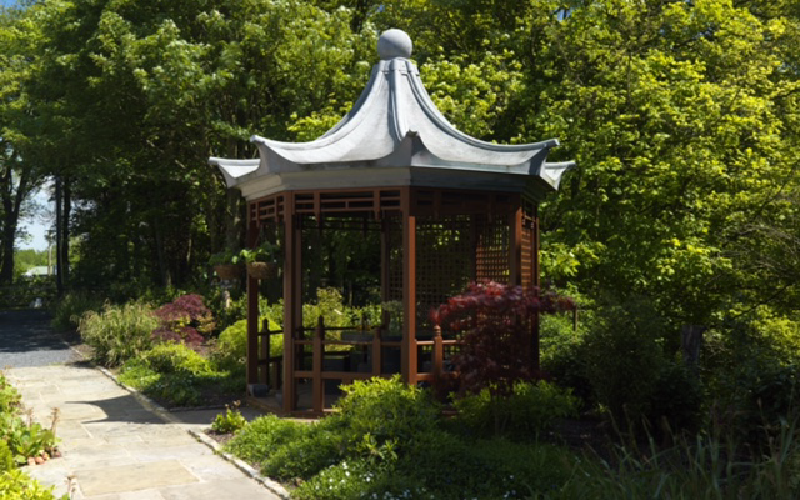 Or, if you are wanting an imitate ceremony, the pergola seats up to 12 guests. The Garden Folly is definitely the place to take the photos that you’re going to look back on for years to come. Whilst overlooking the lake, you can say your vows and be truly in awe of your surroundings. If you are planning your 2018 wedding and think our wedding photos look gorgeous, why don’t you book to come and visit us to see if we can be your dream venue; it truly is breath-taking.